If you’re “nondairy” then where do you get your calcium? Of course, that’s a question vegans have heard for years. But the assumption that dairy milk is the best (or only) calcium source is old school, carried over from the USDA’s Basic 7 and Basic Four food groups and a couple “food pyramids,” introduced over the years from the 1940s up to the current MyPlate, introduced in 2011. As the authority on nutrition, these guides compelled the generations to “eat healthy” and drink milk to build strong bones.However, the myth depicting dairy as the primary calcium source has been dispelled by more recent findings that prove: Getting our calcium from plants is far healthier! So here are five reasons to put them on the menu today. Safer than dairy. While the USDA calls for having dairy with every meal, Harvard’s studies confirm a high intake of dairy products can negatively affect blood-sugar levels and increase the risk of prostate cancer and possibly ovarian cancer. Add to that dairy’s saturated fats linked to heart disease and stroke. By contrast, plant foods like collards, soy milk, baked beans, and many others provide high calcium, minus the risks. Abundantly available. Plants packed with calcium are plentiful and varied, easily incorporated into any diet (veg or omnivore!). Mia recommends calcium-rich, plant-based Veestro meals like Oatmeal Breakfast Pie, Savory Croquettes, Red Curry with Tofu, Kale and Quinoa Salad, Chick’n Quesadillla, Spinach Pie, and the Enchilada and Eggplant casseroles. 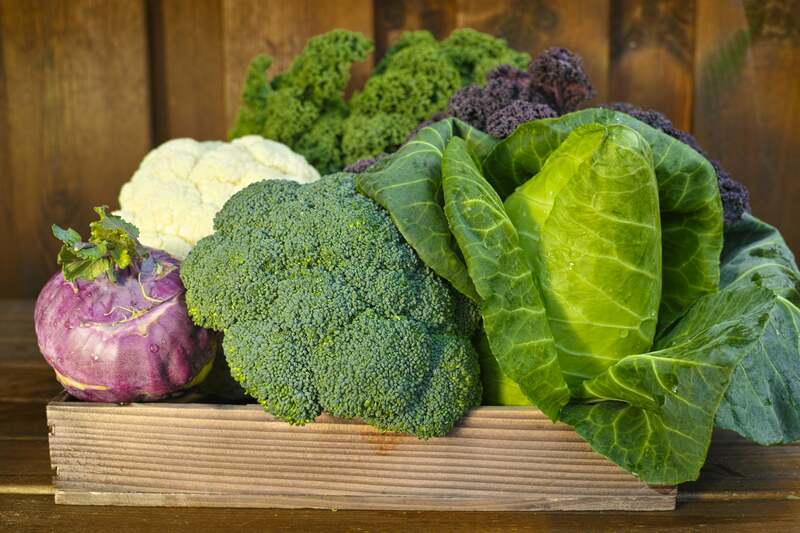 And when you’re in the market for greens, check nutritionist Daisy Whitbread’s list of 33 high-calcium veggies for more ways to get the calcium you need.